Barclays is a British bank that also provides financial services around the world. They offer banking services and credit cards in the US market. They only have two credit cards which they offer independently, and the rest of their cards are collaborations with popular brands. Barclays is headquartered in London in the UK and has been around since 1690. Barclays’ credit cards are fairly popular, helping the company achieve a ranking as the ninth largest card issuer in the US in 2017 based on outstanding balances. They also have over 36 million card members globally. All their cards offer great security features such as mobile alerts, and $0 Fraud liability protection. Like the feeling of earning cash back every time you make a purchase? If so, the Barclaycard CashForward World Mastercard might be right for you! It gives you a generous 1.5% cash back on all your purchases. When you redeem your rewards, you’ll also get a 5% cash rewards redemption bonus that you can use the next time you redeem points. The card also offers a great sign-up bonus. If you spend just $1,000 in the first 90 days of getting your card then you’ll get a cash bonus of $200. The card offers a 0% introductory interest rate on the first 15 months on purchases and balance transfers. To qualify, the transfers have to be made within 45 days of opening your account. After that, you’ll pay either 15.99%, 20.99% or 23.99% variable APR. How much you’ll pay will depend on your personal financial and credit situation as well as normal fluctuations in interest rates. When it comes to balance transfers, you should note that there is a 3% balance transfer fee, but you won’t pay any annual fee. Barclays recommends that you have excellent credit to apply for this card. 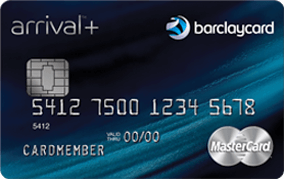 The Barclaycard CashForward World Mastercard is a great card for those who are looking ﻿﻿for a rewards car﻿d that pays them generous cash back rewards on all their purchases. While the card doesn’t offer extra bonus rewards on certain categories of purchases like groceries or cash, it does offer more on every day rewards than other cards which offer just 1% on every day purchases. Whether you will get more cash rewards with this card than another will depend on what you spend your money on. The fact that the card offers a very long introductory 0% interest rate period is also a good sign. If you’re carrying a balance on another card or if you’re using this card for a big purchase, you have some time to transfer your balance or pay back your purchase without having to pay interest. The fact that the card also doesn’t have an annual fee is a great bonus. Whether the card makes financial sense might depend on the interest rate that you qualify for. Many other cards offer lower interest rates than offered on this card. While the name of this card is a bit of a mouthful, it’s one that you’ll want to get right. This card has some great benefits! For example, you can earn 2 miles for every dollar you spend on all your purchases. That’s more generous than many other travel rewards cards. In addition, you get a great sign-up bonus of 40,000 miles if you spent at least $3,000 in the first 90 days of opening your account. You also get an extra 5% miles back when you redeem your rewards that is applied towards your next redemption. While you won’t get a 0% interest rate on your regular purchases, there is an introductory 0% interest rate for 12 months on balance transfers made within the first 45 days after opening your account. You’ll have to pay a 3% fee on your balance transfer. You’ll pay either 16.99%, 20.99% or 23.99% variable APR in interest on the card on both purchases and balance transfers completed after the 45 day period. While the card has an annual fee of $89, it is waived in the first year. Another bonus is that the card does not charge foreign transaction fees on purchases. The card is intended for those with excellent credit. There are a lot of great benefits that you can get with the Barclaycard Arrival Plus World Elite Mastercard. The fact that you get 2 miles for every dollar you spend is much better than many other travel rewards cards that offer just 1 mile for every dollar you spend and extra miles only in certain categories, like when you purchase travel or gas. Another benefit of the card is that you get a great sign-up bonus, you don’t have to pay interest on balance transfers for the first 12 months, and you don’t have to pay an annual fee in the first year. But there are other travel cards that charge around the same amount in annual fees but have lots of other perks. For example, some will pay for carry-on bags. Others will give you companion fares or a certain spending budget for air travel incidentals each year. Those bonuses add up and help justify the annual fees on those cards. Whether the annual fee would make sense on this card would depend on how much you use your card. If you use it enough, you might end up getting more value from this card because it offers more bonus miles. Another downside of this card is the relatively high interest rates. Many other card companies have rates for those with excellent credit that are lower than this card offers. Also, they don’t offer a 0% introductory rate on regular purchases. Whether this card is right for you or not will depend on your personal spending habits. Do you like to fly the friendly skies with American Airlines? 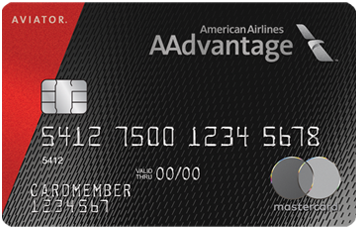 If you do, you might want to consider the AAdvantage Aviator Red World Elite Mastercard. This card is a collaboration between American Airlines and Barclays. And it’s a great marriage. The card offers 1 mile for every $1 spend and 2 miles for every $1 spent on American Airlines purchases. The card also gives you 10% of the amount of miles you redeem back towards your next redemption. That will earn you $3,000 in Elite Qualifying dollars if you spend $25,000 on purchases in one year. The card also offers a great sign-up bonus. You can earn 60,000 miles for just making one purchase in the first 90 days and paying the card’s annual fee. Some other benefits include getting your first checked bag free when you fly with American Airlines, preferred boarding, World Elite Travel Services (that includes special offers on accommodations and upscale retailers) and travel coverage including things like a personal concierge, trip cancellation and interruption insurance, auto rental collision damage waiver, and much more. You also receive a 25% discount on in-flight purchases and don’t have to pay foreign transaction fees. When it comes to interest rates, you will get a 0% introductory interest rate on balance transfers for the first 15 months so long as you transfer the money in the first 45 days after opening your account, but no introductory rate on regular purchases. You will also need to pay 3% on balance transfers as a fee. You will pay either 16.99%, 20.99% or 25.99% APR on your purchases and balance transfers (after the introductory rate expires). How much you will pay will depend on your personal financial and credit situation. The card is a great option for those who use American Airliens frequently to fly. Because it offers free checked bags and discounts on inflight purchases, -the savings will add up. The sign-up bonus is also particularly generous and the fact that you get a number of different types of travel insurance with the card is also a great bonus. The drawback is that the annual fee is relatively expensive and the interest rates you’ll pay are higher than other cards. That means that this card will only make sense if you expect to use it enough to earn enough miles or get enough free checked bags to make it make sense. Like to read? If you do, you’re in luck – there is a credit card designed specifically for you! 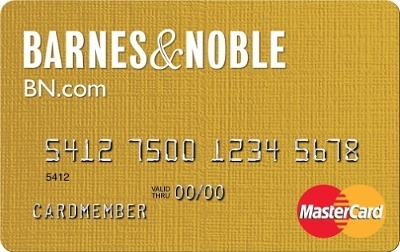 The Barnes and Noble credit card is a points reward card that allows you to earn 1 point for every $1 you spend on everyday purchases, 2 points for every $1 you spend at restaurants, and 5% back when you buy things at Barnes and Noble either online or in the store. In addition to this, you get a $25 Barnes and Noble gift card sign up bonus after you complete your first purchase. You’ll also get a $25 Barnes and Nobel gift card whenever you earn 2,500 points. There is a 0% introductory APR for the first 15 months on balance transfers that are made to the account 45 days after its opened. Regular purchases and all other balance transfers are charged interest at a rate of either 14.99% or 25.99% variable APR. How much you’ll pay will depend on your personal financial and credit situation as well as any fluctuations in the prime interest rate. There is a 3% fee charged on balance transfers. The card has no annual fee and is best for those with good to excellent credit. While you might be a bookworm, whether the Barnes and Noble Mastercard is right for you will depend on how you use your card. The card does give you points that you can use for gift cards at Barnes and Noble, but cash back cards can also be used to buy books and their rewards have more flexibility. In addition, the sign-up bonus on this card isn’t very generous. If you are buying a lot from Barnes and Noble though the 5% off might be useful and could add up. The big downside then is the higher interest rates that the card charges. While the 0% APR on balance transfers for 15 months is fairly generous, it’s not on regular purchases. Also, you can potentially get a lower regular interest rate on another card. Is the Uber app your favorite app? Do you find yourself calling an Uber almost every day? If so, the Uber Visa Card might be right for you. It’s a cash back card that provides you with 2% cash back on Uber, online shopping, video and music streaming sites, 3% cash back on airfare, and accommodations, 4% cash back on restaurants and UberEATS, as well as 1% cash back on all other purchases. These are fairly generous cash back rewards since they cover so many categories of spending. You can also earn a sign-up bonus of $100 if you spend at least $500 on your card in the first 90 days. The card also has other bonuses such as $50 that you can put towards online subscription services once you spend at least $5,000 annually on your card, $600 protection against damage and theft on your mobile phone if you use your card to pay your phone bill, and invites to exclusive events. The card has no introductory interest rates on either balance transfers or regular purchases and charges either 15.99%, 21.74% or 24.74% variable APR on both balance transfers and regular purchases. What you’ll actually pay will depend on your own personal financial and credit situation, as well as changes in interest rates. You’re also charged a 3% fee for balance transfers. There is no annual fee and no charge for foreign transactions. 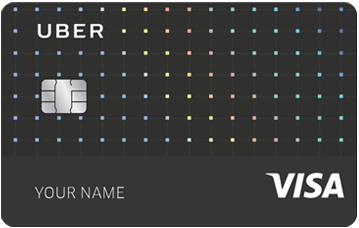 The Uber Visa is a generous cash back card – especially for one without an annual fee. Because it gives you extra cash back in a number of different categories you could potentially earn a significant amount of rewards if you spend heavily in those categories. If you don’t spend heavily in those categories, you might be better off with a cash back rewards card that offers a little more back on all your purchases. The downside of the card is that even the cheapest interest rate is higher than many other cards. While you won’t have to pay an annual fee, if you keep a balance on your card you might end up paying more in interest over the year than you make up for it in rewards. Like Sunday Night Football? Or any night football? If you do, then this card might be right for you. The NFL Extra Points Card allows you to support your team and get great benefits. The card is a cash back card that allows you to earn 1% cash back for every dollar you spend. You can redeem 2500 points for $25. You also earn 2 points for every $1 you spend on NFL tickets, at the stadium or at NFLShop.com. Plus, you’ll get 20% off your purchases at NFLShop.com, exclusive rewards and team experiences that you can redeem your points for, and a promotional APR for the first 6 months on NFL tickets. There is also a 0% introductory APR on balance transfers that are made within 45 days after opening the account. The normal interest rate on regular purchases and all other balance transfers is either 15.99%, 20.99%, or 25.99% variable APR. What you’ll pay will depend on your personal financial and credit situation. There is also a 3% balance transfer fee, but there is no annual fee on your card. Some other bonuses with your card include 10,000 bonus points when you spend $500 in the first 90 days (which has a $100 cash back value), and concierge services to help you make reservations for travel, hotels, and entertainment. The card is intended for those with good to excellent credit. 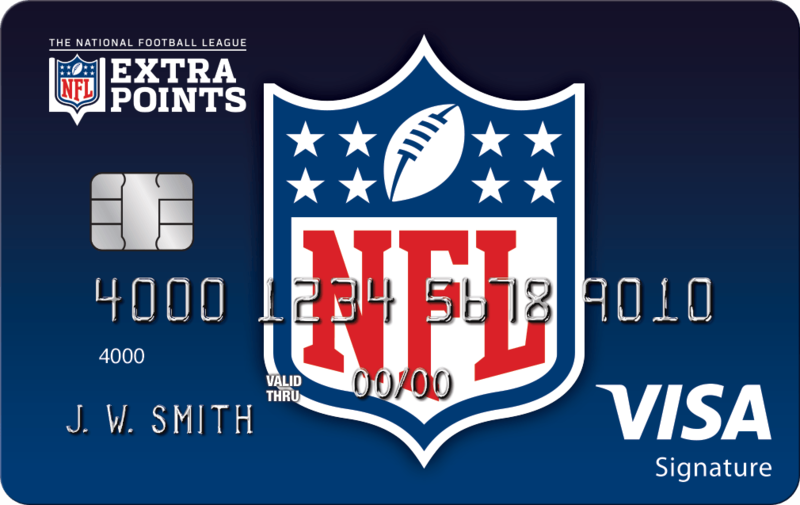 The NFL Extra Points card is a generous cash back card program – especially for those who love the NFL. If you’re buying NFL merchandise and tickets anyways, you can save with discounts and earn points. However, there are some other credit card rewards programs that might offer you more points on everyday purchases so it will depend on how you use your card as to whether you’ll come out ahead with this card. The unique benefits of the card might be enough to get you to apply and the fact that you get $100 dollars in cash back points just for signing up is a great selling point. So is the fact that there is no annual fee and there is an introductory 0% interest rate period on balance transfers. The one drawback is the fact that the interest rates are a little higher than you might find on other cards. If you’re carrying a balance on your card, that means this card could be more costly to you. Like to travel, but don’t always use the same airline? One of the drawbacks of airline travel cards is that your travel options are limited if you want to use your points. The Priceline Rewards Card gives you similar benefits without tying your hands as to how you can use your card. The Priceline Rewards Card is a cash back card that gives you 1 point for every $1 you spend on regular purchases and 5 points for every $1 you spend on Priceline.com. You’ll also get 10% points back when you redeem your points for eligible travel purchases on Priceline.com or elsewhere. In addition, the card also has a sign-up bonus of 5,000 bonus points after you make your first purchase, which is equivalent to $50 in statement credit. Other benefits include that there are no foreign transaction fees and no limit to the number of points you can earn. The card also provides a concierge service which helps make reservations for dining, travel, hotels, and entertainment. The card offers a 0% introductory balance transfer interest rate on transfers posted to your account in the first 45 days. Regular purchases and balance transfers after that are charged either 15.99%, 20.99% or 25.99% in variable interest rates. What you’ll pay will depend on your personal financial and credit situation and whether the interest rates fluctuate. The card also charges 3% on balance transfers. The card has no annual fee and is meant for people with good to excellent credit. Is the Priceline Rewards Visa Card right for you? While it is a good idea in theory, it’s benefits aren’t as generous as other travel cards. The sign-up bonus is smaller than on other cards and it doesn’t offer great bonuses like free checked bags. Still, it does offer 15 months of 0% interest on balance transfers. Whether this card is right for you will depend on whether you would use the bonuses that other airline cards give you. If not, you might be better off getting this card – especially if you plan on transferring a balance onto your card. Which Barclaycard is right for you will depend on how you plan to use your card and your personal credit situation. If you are looking for a card that will help you pay off other debt, you’ll want to get a card with a great introductory interest rate. But if you’re just looking to earn points, you’ll have to think about what you spend most of your money on to figure out which card will likely help you earn the most cash back, points, or miles.